Unless otherwise specified by Radio Station KSIG FM (the “Station”), these rules cover routine contests and promotions conducted by the Station. These rules may be amended by separate specific rules for major contests or promotions conducted by the Station or its sponsors. The contest or promotion (the “Promotion”) will take place during the dates and times specified in the official rules of the Promotion (the “Promotion Period”) or as announced on-air. The Station may change the dates and/or terms of the Promotion without prior notice. 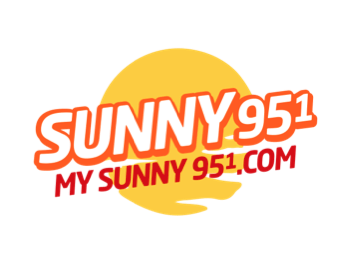 Any material changes will be broadcast on the Station and, if applicable, posted on its website located at mysunny951.com. To be eligible to enter or participate in the Promotion, listeners must follow the instructions set forth in the official rules of the Promotion or as announced on-air and must fulfill all of the eligibility requirements of the Promotion. 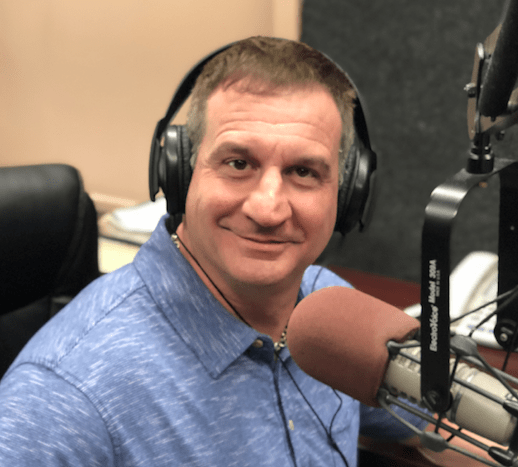 Unless otherwise specified, the Promotion is open to all listeners of the Station who are legal U.S. residents, 18 years of age or older and who live in Louisiana. Employees of the Promotion’s sponsor, the Station, its licensee, their respective parent, subsidiary and affiliated entities (collectively, “Promotion Entities”), Station’s advertising and promotional agencies, its participating sponsors, other radio stations in the Lafayette, LA metropolitan area and the members of their immediate families and/or households are ineligible to participate or win. Listeners are eligible to win a prize in a Promotion conducted by the Station only once every thirty (30) days. If a prize is valued between $0 and $599.99, winner will be eligible to win another prize after thirty (30) days from the date the prize is won. If a prize is valued between $600 and $999.99, winners must wait sixty (60) days from the date the prize is won until he or she is eligible to win another prize. If a prize is valued at $1,000 or more, winners must wait one-year from the date the prize is won until he or she is eligible to win another prize. Only one winner per household is permitted in any Station-conducted Promotion. For on-air Promotions, there is no limit to the number of times a listener may attempt to call-in or text; however a listener may only qualify once. Listeners who have previously been disqualified from any Station contest are not eligible to participate in this Promotion. Entrants are responsible for complying with these Official Rules. Entrants are required to provide truthful information and the Station will reject and delete any entry that it discovers to be false or fraudulent. The Station will disqualify any entrant who does not meet the eligibility requirements and will also delete any entry as required by law. Any entrant or winner who is found to have sold, attempts to sell, or gives away any prize will be disqualified from participating and winning any future Station contest for a minimum of two (2) years. Promotion prizes and their values will be indicated when the Station announces the Promotion. Unless otherwise announced, all prizes or prize certificates will be mailed to winners or may be picked up at the offices of the Station, located at 123 E. Third St., Crowley. LA 70526. Prizes may be claimed during regular business hours (between 9:00am and 4:30pm, Monday through Friday, except on holidays). Promotion winner(s) will be required to present valid government-issued photo identification and provide their complete address, date of birth and phone number to claim a prize. Unless otherwise permitted by the Station, prizes will be mailed or winner(s) must claim his or her prize in person, and a prize cannot be claimed by third parties on behalf of the winner. Any checks being issued and mailed to a winner can take up to fourteen (14) weeks from the date the winner’s completed paperwork has been submitted to the Station’s Finance Department. If a Promotion is open to entrants under the age of 18 and a winner is under the age of 18, a parent or legal guardian must claim the prize. . Failure to comply with these requirements will result in the forfeiture of the prize. A winner will forfeit any prize or prize certificate not claimed within thirty (30) days (or sooner for time sensitive prizes) of winning. Unless otherwise specified or required by law, if a prize is not claimed no alternate winner will be selected and the prize will become the property of the Station. The Station, solely at its discretion and only with the consent of the winner, may opt to deliver the prize to the winner by mail or overnight courier. In such event, the winner assumes the risk of the prize’s loss and the Station will not be responsible for the safe arrival of the prize or prize certificate. There is no substitution, transfer or cash equivalent for prizes, except that the Station may, at its sole discretion, substitute prizes of comparable value or cash. Each prize is expressly limited to the item(s) announced by the Station and does not include taxes, gratuities or any other expenses. Prizes are non-transferable. Other restrictions may apply. Payments of all federal, state and local taxes are solely the responsibility of the winner(s). The winner(s) may be required to complete and submit an IRS Form W-9 with the winner’s full Social Security Number or the equivalent for receipt of any prize(s) and will be required to complete and submit an IRS Form W-9 with the winner’s full Social Security Number or the equivalent, along with a copy of the winner’s Social Security Card and valid Photo I.D., for receipt of any prize(s) valued at $100 or more or for any prizes awarded by the Station in a calendar year with an aggregate value of $100 or more. Failure to submit a complete W-9 or equivalent will result in forfeiture of the prize(s). Total aggregate value winnings of $600 or more in a calendar year will be reported to the IRS. Except where prohibited, by entering the Promotion, each entrant agrees that: (1) any and all disputes, claims and causes of action arising out of or connected with this Promotion or any prize(s) awarded shall be resolved individually, without resort to any form of class action, and exclusively by state or federal courts situated in Louisiana; (2) any and all claims, judgments and awards shall be limited to actual out-of-pocket costs incurred, but in no event shall such costs include attorneys’ fees; and (3) no punitive, incidental, special, consequential or other damages, including, without limitation, lost profits may be awarded (collectively, “Special Damages”), and (4) entrant hereby waives all rights to claim Special Damages and all rights to have any damages awarded multiplied or increased. Louisiana law governs the interpretation and construction of these Official Rules and all aspects related thereto. For the official rules of a Promotion, send a self-addressed stamped envelope for receipt by the end of the Promotion Period to KSIG-FM, PO Box 228, Crowley, LA 70527, Attn: Promotion Rules. For the names of the prize winners send a self-addressed stamped envelope for receipt within 60 days following the end of the Promotion Period to the attention of Promotion Winner Lists at the above address. In either case please be sure to specify the name of the Promotion for which you are requesting the rules or winners list. Official rules and winner lists (when completed) shall also be available during regular business hours at the main offices of the Station and may be posted online at mysunny951.com.